Chances are you won’t know you have sleep apnea until someone in your household complains about your loud snoring. If you suspect sleep apnea, getting treatment is important to prevent serious health complications like heart arrhythmia. 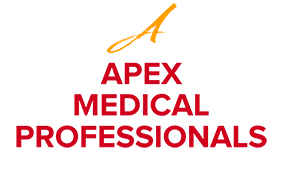 Walid Elkhalili, MD, and the team at Apex Medical Professionals have extensive experience helping patients with sleep apnea get the treatment they need. To get a sleep apnea assessment, call the office in Fair Lawn, New Jersey, or book an appointment online. Obstructive sleep apnea occurs when you repeatedly stop breathing while you sleep. In severe cases, patients can stop breathing 30 times or more per hour. You develop obstructive sleep apnea when the airway in your throat is blocked by soft tissues. This typically happens when muscles in your tongue and other soft tissues relax, allowing the tissues to fall toward the back of your throat and cover the airway. With your airway blocked, you can’t breathe, oxygen levels in your blood drop, and your brain wakes you just enough to take a breath. In most cases, you’re not aware of the apnea episode. What symptoms will I develop due to sleep apnea? Your partner or someone in your household may notice loud snoring followed by a silent pause (when breathing stops), then gasping when you finally take a breath. The only way to verify you have sleep apnea is to undergo a sleep study. Sleep studies may be done at home or in a sleep lab. During an in-home sleep study, you wear sensors that track your breathing, oxygen levels, and airflow while sleeping. At a sleep lab, your brain waves, heart rhythms, and muscle movements may also be monitored. Your doctor at Apex Medical Professionals develops a treatment plan based on the severity of your sleep apnea. If your apnea is mild and you’re overweight, you may be able to relieve your symptoms by losing weight. When you sleep, you wear a mask that’s attached to a machine that pumps air through the mask. The incoming air creates just enough pressure to keep your airway open. An oral appliance can be customized to fit over your teeth and move your jaw slightly forward. This stops your tongue from falling back and covering your airway. If you snore or you often feel fatigued during the day, call Apex Medical Professionals or book an appointment online.